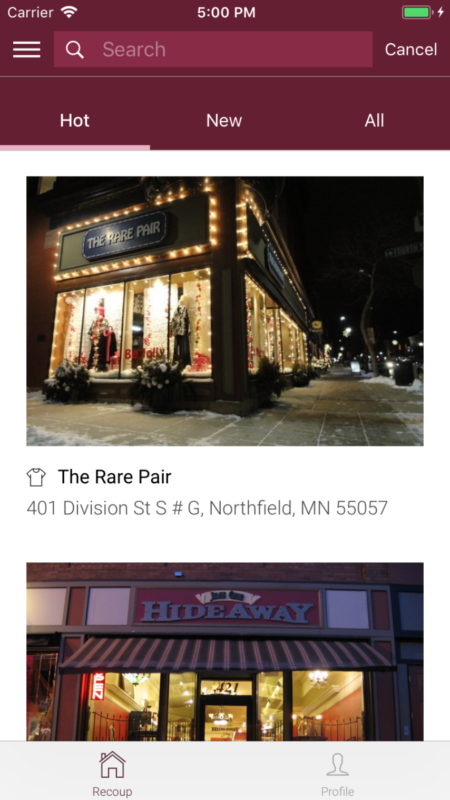 Northfield businesses now have a new way to connect with local college students. Recent Carleton graduates Liam Bradney, Ammar Babar, Aman Panda and Max Mattessich have designed a digital coupon app aimed at increasing the engagement between local businesses and college students in Northfield. It’s time again for the annual celebration of our loyal townsfolk who defeated the James Gang back on September 7, 1876. New this year is a Craft Beverage Festival at Armory Square, featuring beer, cider and cocktails from Imminent Brewing, Tanzenwald Brewing, Keepsake Cidery, Chapel Brewing and Loon Liquors. 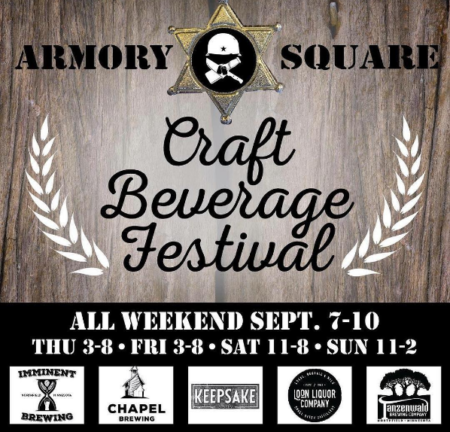 Other highlights include the Northfield Rotary Club Jesse James Bike Tour on the 9th (free beer or root beer at the After Pedal Party) and the Northfield Shares 5K Run/Walk on the 10th. Check out all of the fun including re-enactments, carnival, parade, rodeo and more at djjd.org. The Rueb will celebrate the end of an era with an all day party, capped off by a performance from members of The Big Wu starting at 9 pm. Joe Grundhoefer is looking forward to enjoying some time off after 36 years of restaurant ownership. He wants to invite all of his former employees and loyal customers to attend the celebration. A local business partnership, Freetime Restaurants LLC, will begin a major remodel this fall and plan to open a new rustic, upscale casual restaurant in the summer of 2018. The new restaurant will have something for everyone: unique menu with locally sourced ingredients, outdoor seating, a bar/lounge and live music. The last day of business for the Rueb will be September 17th. 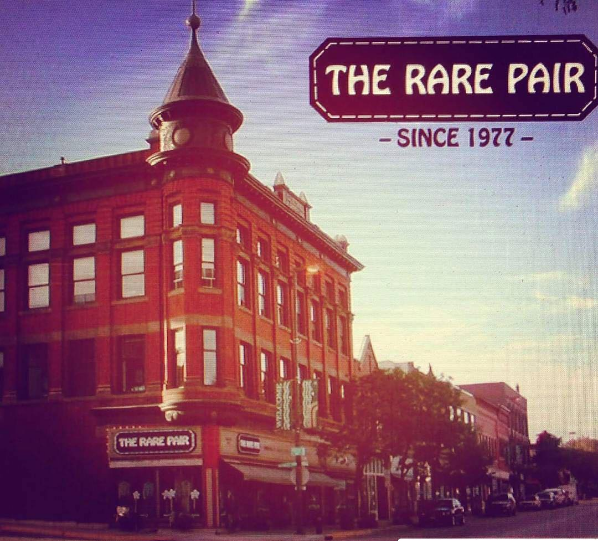 Last month we celebrated with local businesses as Mainstream Boutique had a 2-year anniversary, Paper Petalum had their 30th and The Rare Pair marked 40 years downtown. Also in August, after a 7-year run, Studio Elements closed its door at 16 Bridge Square. Thanks to Jill Enestvedt for her terrific efforts and fine shop. At the end of July, Mike Moyers closed Mike’s Bicycle Shop after a 25-year run on Grastvedt Lane. 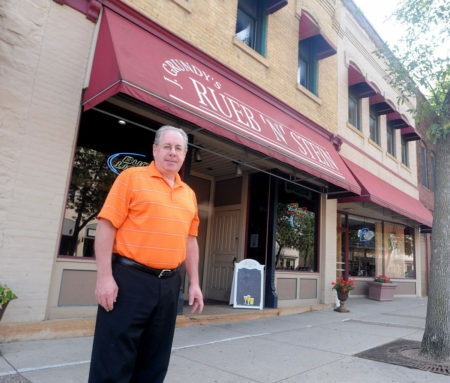 We want to thank Mike for being the go-to bike shop, not just in Northfield, but Rice County, for so many years and wish him well in his well-deserved retirement. Mike’s son Stu will be relocating the shop to Dundas and opening soon on County Road 1. 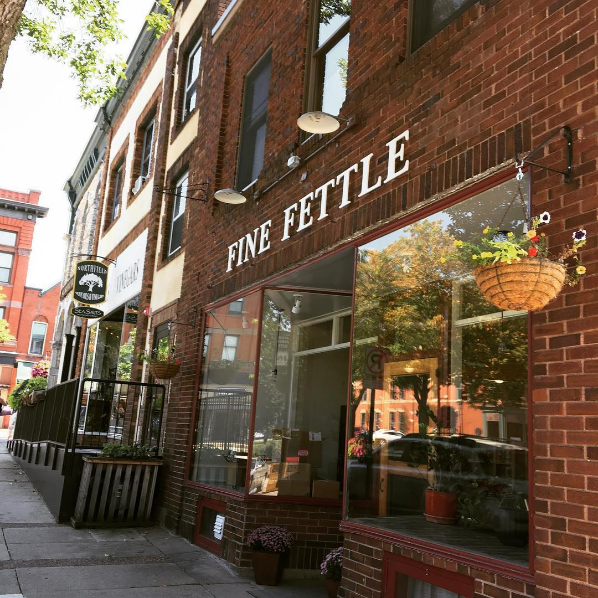 Opening this month at 16 Bridge Square, new Naturopathic Practice Fine Fettle will bring health and wellness goods to the former Studio Elements space. Northfield Hospital & Clinics just announced plans to open an Express Care Clinic with convenient evening and weekend hours inside Sterling Pharmacy in early 2018. 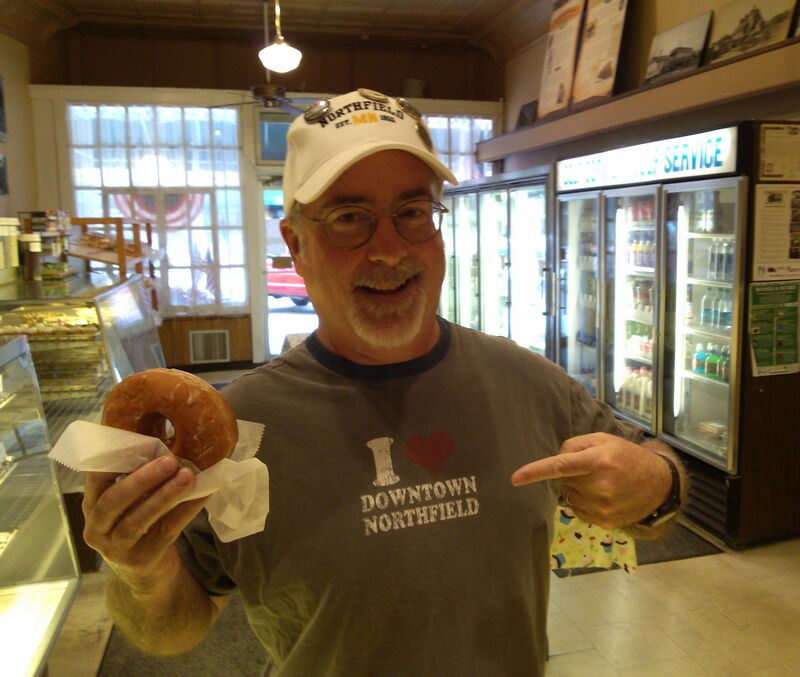 Yeah, that’s me with a doughnut…again. As always, it’s one of those delicious raised glazed from Quality Bakery in downtown Northfield, MN. Hey, I take my training seriously, slowly building up to the Alaskan Doughnuts of CRAZY DAZE. 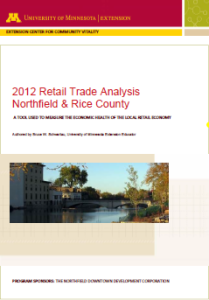 The University of Minnesota Extension Service’s Liz Templin and Bruce Schwartau presented the most recent Retail Trade Analysis for Northfield. An enthusiastic group that included business owners and community leaders found the data to be quite interesting.